Rhubarb vodka has a very delicate flavor that is easily lost in heavily flavored liqueurs and bitters. This cocktail keeps it simple. Pour rhubarb vodka, simple syrup, club soda and squeeze a 1/4 lemon over a tall collins-type glass filled with ice. Stir for a few seconds to blend. I leave out the lemon slice as the skin can overpower the rhubarb. 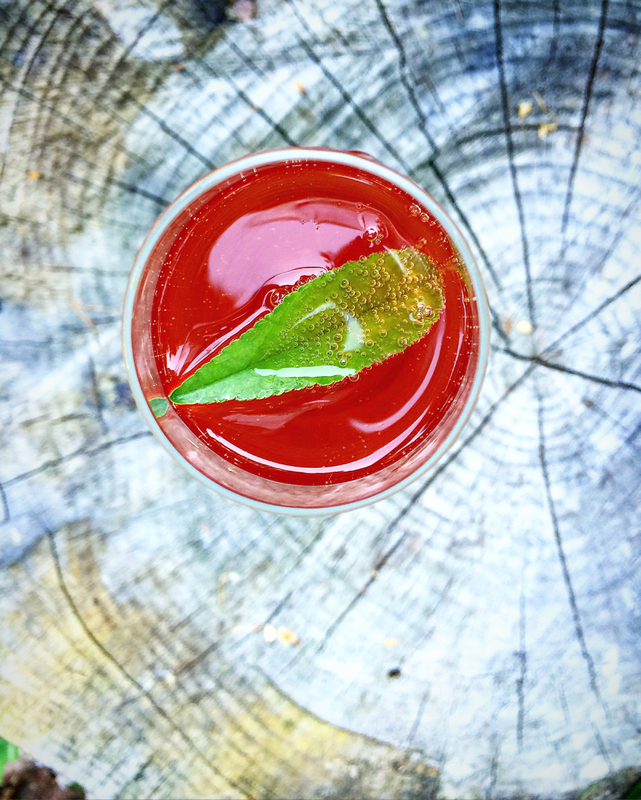 Drop in a sour sorrel or cherry leaf for garnish. Enjoy on a warm day on the patio.